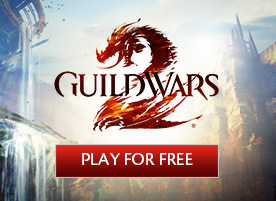 Guild Wars 2>News>The First Beta Weekend Event Begins August 7! The First Beta Weekend Event Begins August 7! I’m excited to announce our first Beta Weekend Event will be taking place starting at noon Pacific Time (UTC-7) on Friday, August 7, and running until noon Pacific Time (UTC-7) on Monday, August 10. 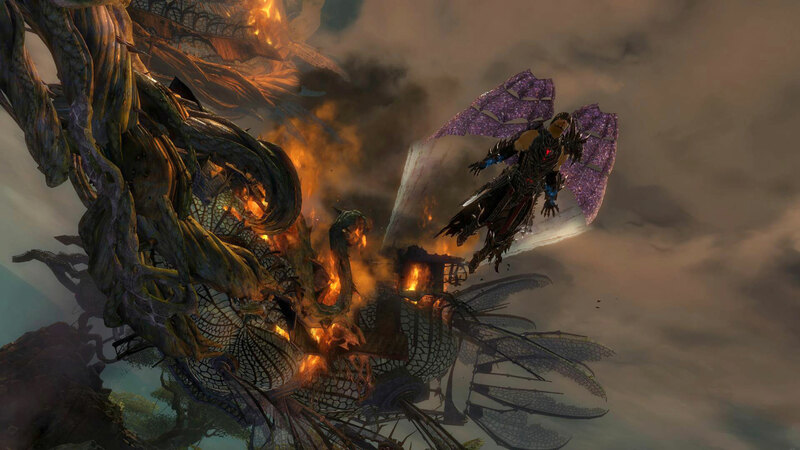 These beta weekend events are an exciting opportunity for you, the player, to help shape the development process and the experience you’ll have when Guild Wars 2: Heart of Thorns™ is completed. These are real beta tests, and you have the real opportunity to help shape the expansion with your feedback. We’re not going to show everything in the expansion in beta weekends; we want to keep a strong sense of discovery and not spoil huge parts of the story ahead of time. We’re going to test enough to help us broadly understand how everything works and also apply those lessons to the parts of the game we won’t be showing during beta weekends. For example, we’ll only ever be showing the first story chapter and parts of the first map of the expansion during beta weekends to ensure that an entire world of discovery and excitement awaits you on launch day when you venture deeper into the jungle. 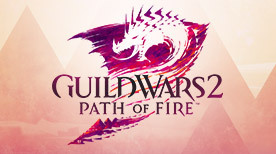 After all, Guild Wars 2 is the game where the journey is the goal! Players who have pre-purchased the expansion will see a new button appear on the character creation screen that allows them to create and play a fully geared, level-80 beta character of any race for the duration of the weekend. Players who have pre-purchased may use their beta-character slots to try our new profession, the revenant, with all five full trait lines and all four core legends, including Shiro. You’ll also be able to play with our new system that grows your character professions into new elite specializations—you’ll be able to try out the chronomancer, dragonhunter, reaper, and tempest. Beta characters will begin by playing through a brief shared battle in the Silverwastes that leads into the expansion jungle region, followed by the intro story step of the expansion. From there, they will land in Verdant Brink, the first map of the expansion, where about 25 percent of the total playable space of that first map will be available to play. You’ll be able to train your Masteries in the jungle region as you play through the story and event content available in Verdant Brink. Not only will you be able to take your characters to the jungle, you can take them into the existing game world as well! PvE, PvP, or WvW—feel free to try out the new profession or elite specializations on the live game with all your friends and guildies. To go along with this, we’ll be turning on our map bonus reward system for beta characters only, helping players get a feel for how we’ll keep the core game world relevant and rewarding with the release of Guild Wars 2: Heart of Thorns. We’ll also turn on our new Stronghold PvP game mode for all players for the duration of the weekend, along with the new Mist Champion selection system. Players who pre-purchase Guild Wars 2: Heart of Thorns will have all currently revealed Mist Champions automatically unlocked for their use throughout the weekend. Progress earned by beta characters over the course of the weekend will be preserved between BWE1 and BWE2 so that you can continue testing where you left off. So what kind of feedback are we looking for? We want your thoughts on how fun it is to play as our new profession as well as the elite specializations. Do the elite specializations feel like they are creating an entirely new role for your main profession? You’ll also find that as daytime outpost events are completed in Verdant Brink, Adventures with fully functional leaderboards and rewards will be unlocked for play. We’re looking for comments on how well Adventures help accomplish the goals we set out for them here. And finally, we’ve done a lot of work since the closed beta test to continue progressing the nighttime meta-event within the jungle-floor-biome experience. Does night feel different from the daytime? Does it change the way you play while night is active? Is the nighttime meta-event experience that we’ve shown so far engaging and fun? We’re also looking for feedback on what it’s like to progress and earn Masteries over the course of multiple days of gameplay in the jungle, as well as how it feels to use those Mastery abilities in the area provided. Does the Mastery system feel like a system that works to provide meaningful progression? Does it make you care about experience and Mastery points? Does it provide a framework that you think we could regularly add to in live updates? We also want your take on how well the map reward system communicates rewards. Does it improve the experience of gathering materials if you’re working on building items that require specific crafting materials that previously had no clear place to earn them? Does it feel like it will help keep the core world we’ve built today still a place you’ll want to return to and play in, and do you feel rewarded for doing so? Finally, we’ll also be looking for feedback on the changes we’ve made to Stronghold and the revenant since our last testing event, including the addition of weapon swap on the revenant profession and the new additional messaging for key events in Stronghold. Beta weekend events are a large milestone in the development of our expansion, and we can’t wait to play the game with you over the weekend and to continue down the path that brings Guild Wars 2: Heart of Thorns to release! While playing this weekend, don’t forget to tune in Saturday at 10:00 a.m. CEST (1:00 a.m. Pacific Time) to our WTS Championship event, live from the show floor at gamescom. 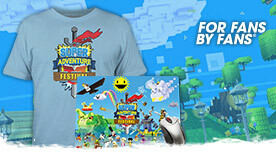 The four top PvP teams from around the world will compete for bragging rights and $50,000 in prizes. We’ll also be announcing the details of one of our Guild Wars 2: Heart of Thorns features during the course of the tournament live on stream – you won’t want to miss it! You can catch the broadcast live on the official Guild Wars 2 Twitch channel, or catch up with a recording on the official YouTube channel after the match. We’ll see you in game.